This essay considers L. Kahn’s famous expression, his question addressed to his colleagues: “What does the window want to be?”. Kahn has a special status in architecture of the XXth century: he can be considered one of the most outstanding spokesmen for the century’s architectural self-consciousness, with all its striking visualization, toughness and inflexibility, as well as its hidden cunning, tendency towards manipulation and suggestion. The latter qualities are analyzed in the essay. Kahn, L. (1972). Moya rabota [My job]. Mastera arkhitektury ob arkhitekture. Moscow: Iskusstvo. KAPUSTIN, Petr. Kahn’s Window. 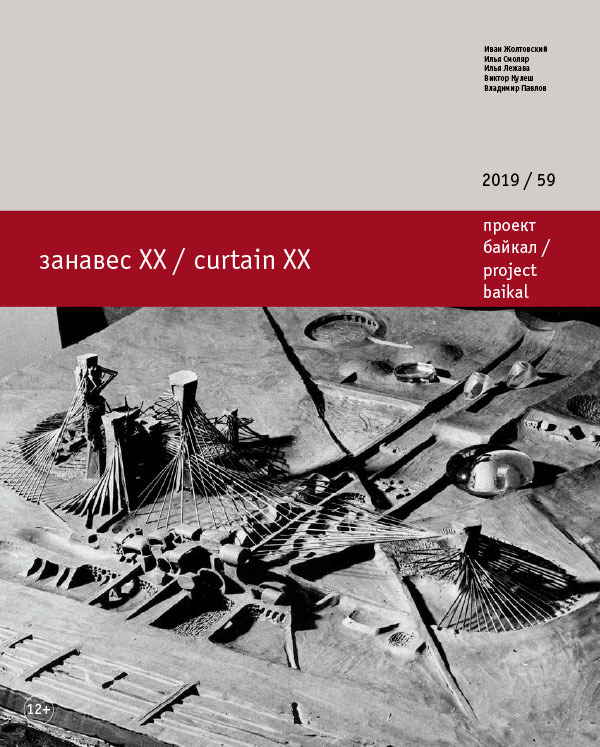 project baikal, Russian Federation, n. 59, p. 142-145, mar. 2019. ISSN 2309-3072. Available at: <http://www.projectbaikal.com/index.php/pb/article/view/1450>. Date accessed: 22 apr. 2019.